As sport has become more professionalised over the last thirty years, so the role of nutrition in promoting health and performance has become ever more important to athletes who search for the extra edge to succeed in their respective sports. With the expansion in the provision of medical and scientific support services in elite sport, those who advise athletes have had to become adept at identifying those dietary strategies that will help them to outperform their competitors. This book is structured in two parts. The first analyses the science that underpins the nutritional goals of athletes, with a focus on the implications for athletes during training, competition and recovery. The second looks more closely at the practical implications for different sport categories, i.e. those that focus on strength, power or endurance, and on weight category sports, team sports and winter sports. 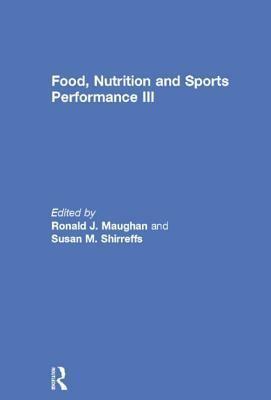 This volume will be of value to sports dieticians and nutritionists and others involved in the care and support of athletes, as well as to those who take an interest in the subject of sport nutrition and competitive performance. Coaches and athletes will also find much of interest here. This book is based on the proceedings of the third in a series of Consensus Conferences in Sports Nutrition organised under the auspices of the International Olympic Committee. It was published as a special issue of the Journal of Sports Sciences.